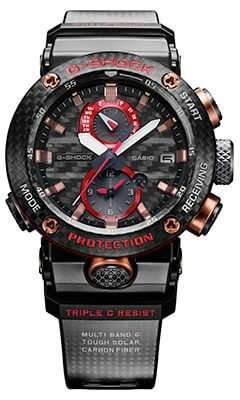 Update: Casio officially announced the GWR-B1000X and it is confirmed to be a limited edition model. Casio America also announced the GWRB1000X-1A for a May 2019 release with a list price of $1,000. The GWR-B1000X-1AJR (JP model number) and GWR-B1000X-1A are April 2019 releases in Japan and Asia. One of Casio’s G-Shock announcements for Baselworld 2019 has leaked a little early thanks to a New York Times article that was published online (earlier than it will appear in the print version of the U.S. edition on March 22). G-Central reader Sergio also discovered the listing before that on the Casio-Europe.com website. 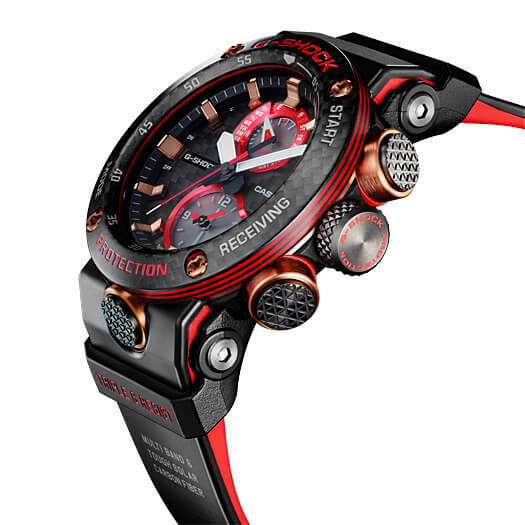 The article reveals that G-Shock is releasing the GWR-B1000X-1A Gravitymaster which is part of the new GWR-B1000 series released in March 2019 and featuring G-Shock’s first Carbon Monocoque case. 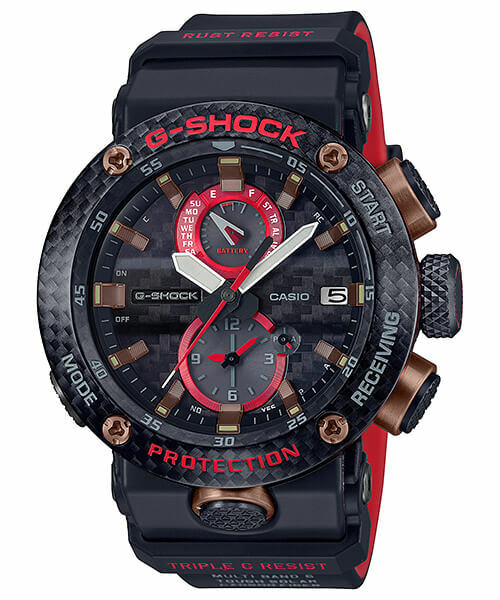 The GWR-B1000X-1A has red accents in tribute to the G-Shock brand colors and rose gold metallic parts. The “X” of the model code signifies that the dial is made of carbon fiber, which distinguishes it from other GWR-B1000 models. A photo of the watch can be seen in the article which also discusses G-Shock’s history and operations. The Baselworld 2019 watch and jewelry show takes place on March 21-26 in Basel, Switzerland.